CfC is unfunded & operates totally from remarkable unpaid support of Volunteers & Trustees. CfC here to help! Our packages aim to provide the necessary ingredients to get your organisation up and running. 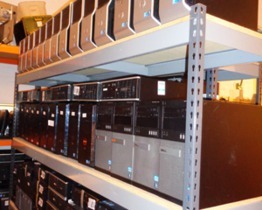 All refurbished equipment is Vat free. Options: Extended Warranty, Upgrades including: Memory, Hard drives, etc. Computers for Charities does not accept liability for data loss or transfer, and recommends regular back up of data, etc. Do you use your laptop as a main Work Station? Enhance and improve by using an external Screen, Keyboard & Mouse. Simply connect the external screen to your laptop video connection for improved vision, Keyboard & Mouse connect to existing USB connections. Software: Pre installed Windows 10 Professional, Microsoft Office 2010 (includes; Word, Excel, Outlook, PowerPoint), AVG 12 months full Internet Security Antivirus. 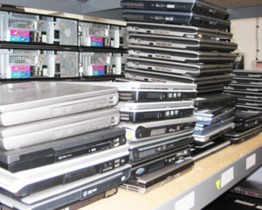 Please Note: Charge capacity of refurbished laptop batteries may be limited. New batteries are recommended if requiring usage without mains supply. Software: Pre installed Windows 10 Professional 64 bit, Microsoft Office 2010 Home & Business, AVG 12 months full Internet Security Antivirus. Software: Pre installed Windows 10 Professional, Microsoft Office 2010 (includes; Word, Excel, Outlook, PowerPoint), 12 months AVG Internet Security Antivirus. Warranty: Return to base 3 month hardware warranty, (excludes batteries) Please Note: Charge capacity of refurbished laptop batteries may be limited. New batteries are recommended if requiring usage without mains supply. Software: Pre installed Windows 10 Professional 64 bit, Microsoft Office 2010 Home & Business, 12 months Paid AVG antivirus. Warranty: Equipment supplied with 3 month return to base warranty, excludes batteries. Software: Pre installed Windows 10 Professional, Microsoft Office 2010 (includes; Word, Excel, Outlook, PowerPoint) 12 months AVG Internet Security Antivirus. Upgrades: Upgrades available include: Memory, Hard drives, WiFi, etc. Please note: All proceeds raised directly aid the support of charities across the UK and overseas. Under licensing terms with Microsoft, media cannot be supplied. It is strongly recommended that either a recovery disk is made or image using propriety software. i.e Acronis, Ghost. Software: Pre installed Windows 10 Professional, Microsoft Office 2010 (includes; Word, Excel, PowerPoint, Outlook), AVG 12 months full Internet Security Antivirus. Warranty: Return to base 3 months hardware warranty . 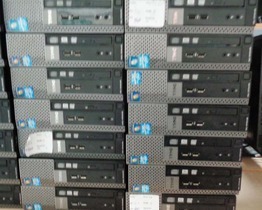 Hardware: Dell Optiplex 790 SFF i3, 3.3Ghz Processor, 4Gb RAM, 320Gb SATA Hard Drive, DVD RW, network port. Mains lead. 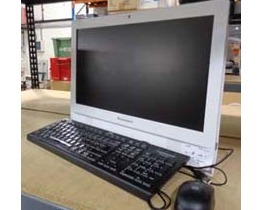 DM - Refurbished Office Desktop System - Mid Range. Software: Pre installed Windows 10 Professional, Microsoft Office 2010 (includes; Word, Excel, PowerPoint, Outlook) AVG 12 months full Internet Security Antivirus. Hardware: Dell, Optiplex i7 9020 desktop. 3.6Ghz Processor, 8Gb RAM, 240Gb SSD Hard Drive, DVD RW, network port. Mains lead. Limited stock availability. Vat free. 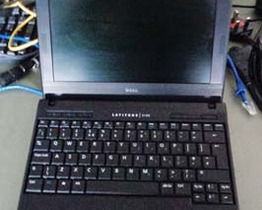 Hardware: 20" Screen, Intel Core 2 (2.GHhz) processor, 4Gb Ram, 160Gb Hard drive, Keyboard, Mouse, Power lead. Software: Pre installed Windows 10 Professional, Microsoft Office 2010, includes with Word, Excel,Outlook, One Note. AVG full antivirus 12 months subscription. Upgrades: Upgrades available on request include: Memory, Hard drives, WiFi, etc. Please note: Towers generally accommodate additional Hard drives. 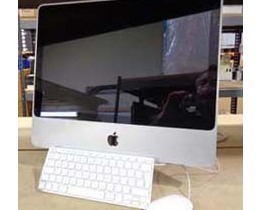 Minimum Hardware Specification: i3, 3.3Ghz Processor, 4Gb Ram, 500GB SATA Hard drive. Mains lead. Software: Windows 10 Professional Operating System, Microsoft Office 2010. Includes Word, Excel, PowerPoint, Outlook, AVG Internet Security 12 months cover. Please note: Linux Mint is a complete package containing word processing, etc and does import Microsoft documents, etc. 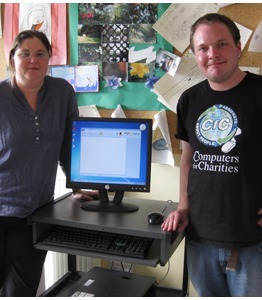 Providing further savings for UK Charities, Voluntary Organisations, Church groups and Schools. "All in One" systems are ideal when needing space, providing full computer operation and good screen size. It could be the solution for your organisation offering the Windows PC alternative to the Apple iMac. "All in Ones"are totally Office friendly being space saving and compact items. The screen and computer unit are combined whilst offering the same functioning as a desktop / laptop.